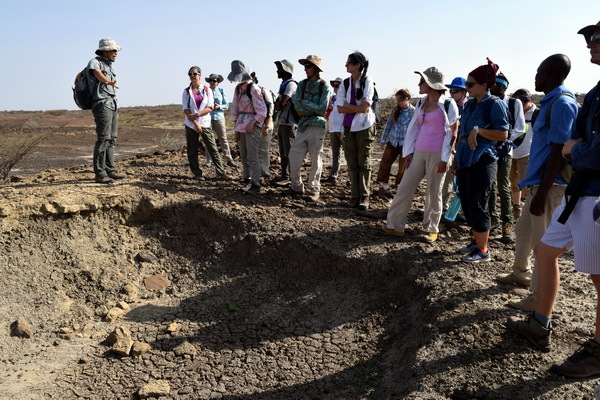 It is now the second week of the human evolution module of the Origins Field School and our dedicated students are ready for a new set of adventures! In the classroom, we have been learning about how different evolutionary theories have been developed around a rather limited hominin fossil record. With all the gaps in the human evolutionary tree, Researchers have been working quite hard in the field trying to find “the missing links”. 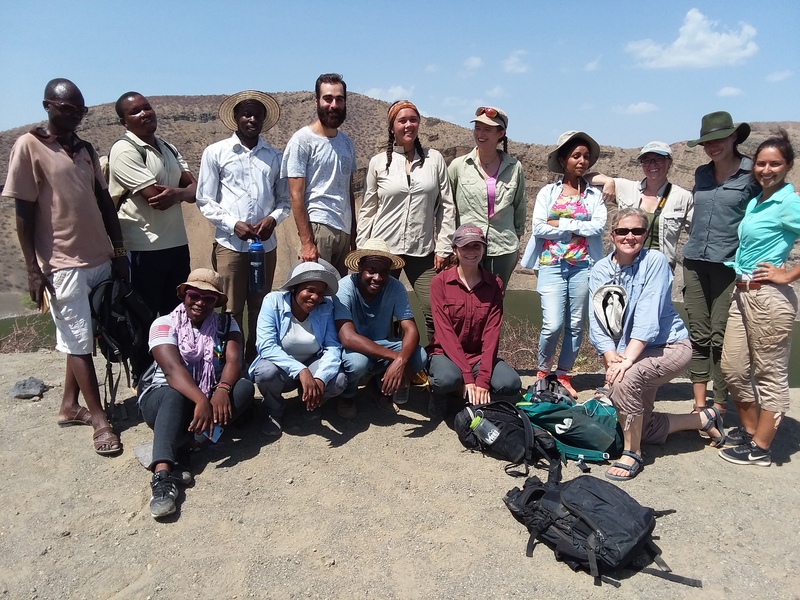 Being at the Turkana Basin Institute, a research station located at the deposits of Lake Turkana, students had a chance to meet members of the Koobi Fora Research Project (KFRP), which is one of the many paleoanthropological research teams around the world. 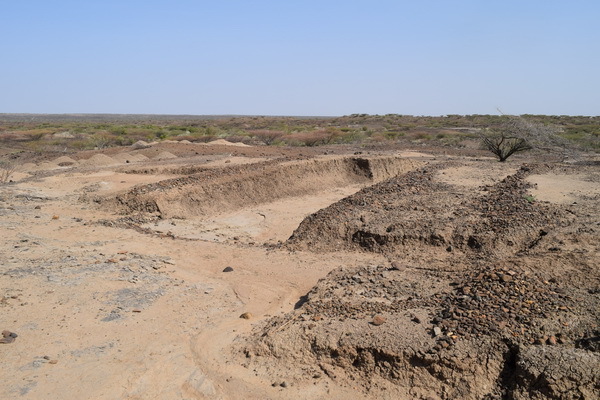 The KFRP has a long history and has been working in the Turkana Basin for decades. 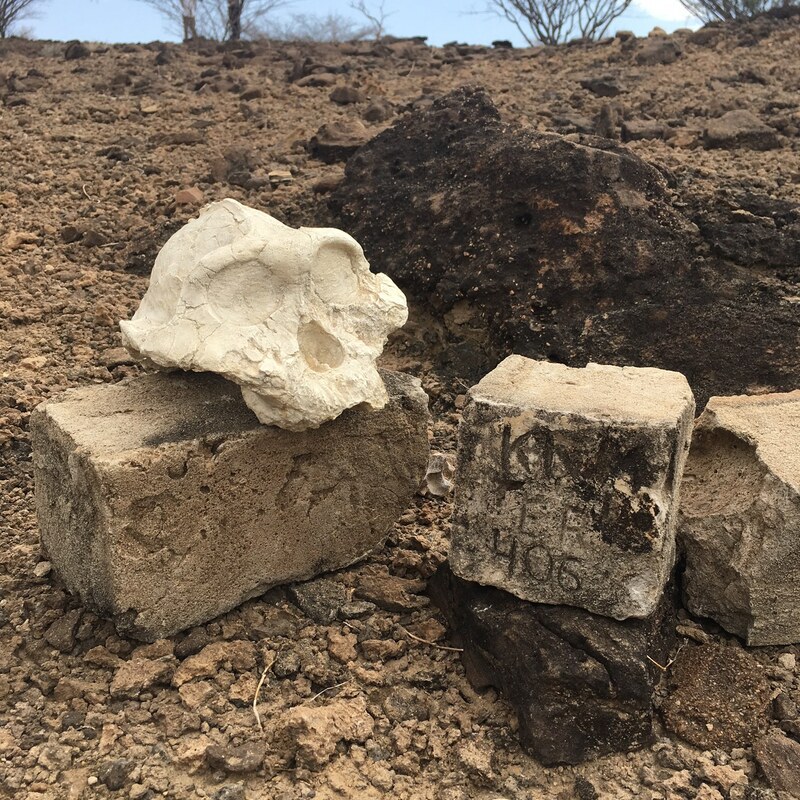 Many of the milestone fossils, such as “1470” (previously featured) and the “Nariokotome boy”, were found by members of KFRP. 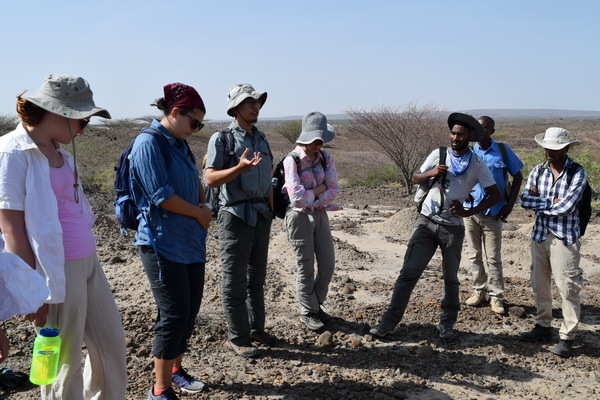 The research team is now led by Dr. Meave Leakey, a research professor at Stony Brook University. 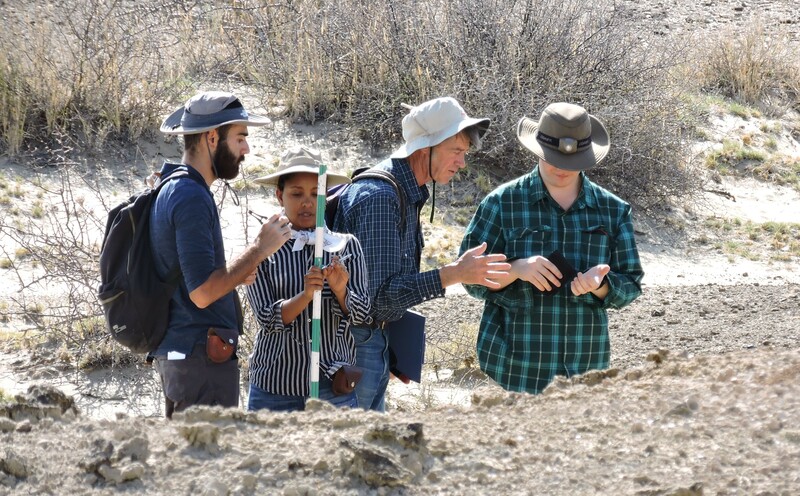 Dr. Leakey was awarded the Hubbard Medal by the National Geographic Society recently for her lifetime contribution to major paleoanthropological discoveries. She paid also paid a surprise visit to the students during their ecology module a few weeks back! We may hear a lot about ground breaking discoveries, but how does it actually happen? 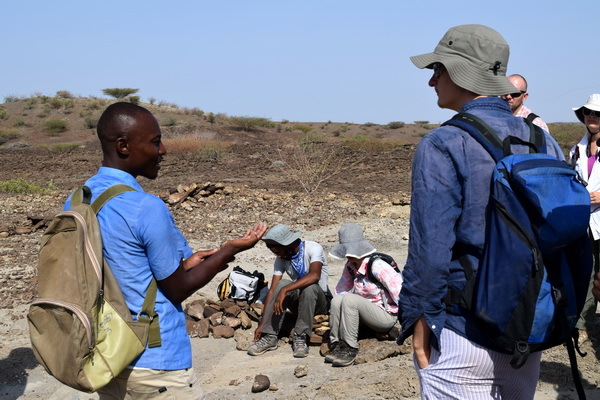 To understand the different perspectives of field research, we went out to one of the nearby fossil sites where a discovery concerning multiple hominin individuals was made just a few years ago. They include one individual represented by lower dentition only, another one with limb bone fragments and a third with associated foot bones. 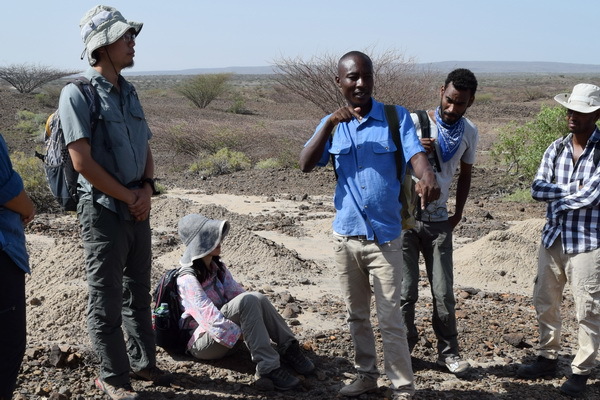 Martin Kirinya, a senior member of the KFRP, joined us at the site of discovery to explain how the hominin remains were found and recovered from the ground. 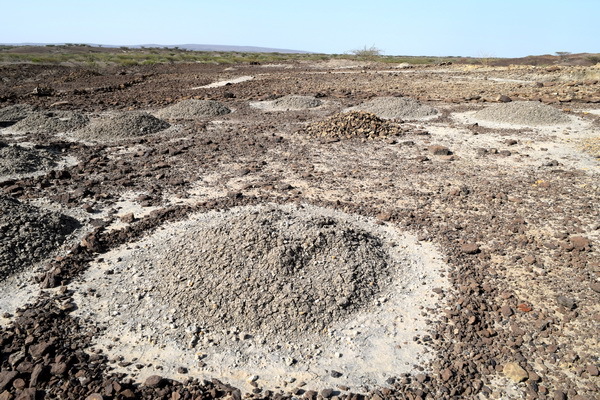 Surface screening, sieving and excavation are common practices to recover as many fossil pieces and fragments as possible. The bigger challenge is always that we don’t know what we are going to find. 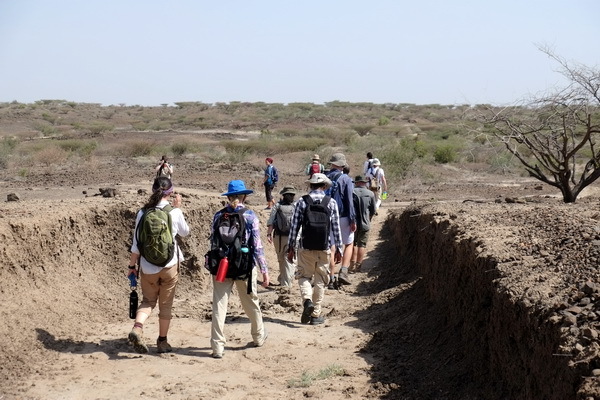 Sometimes the field excavation can even go on for months without a major breakthrough! 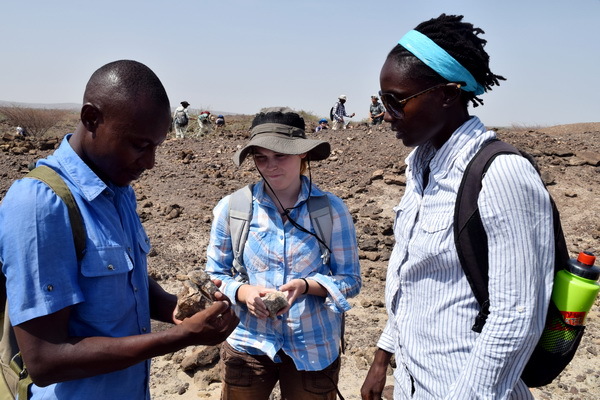 I was extremely fortunate to be with the KFRP team during that field season so it was fun to share some of my own stories, as well. 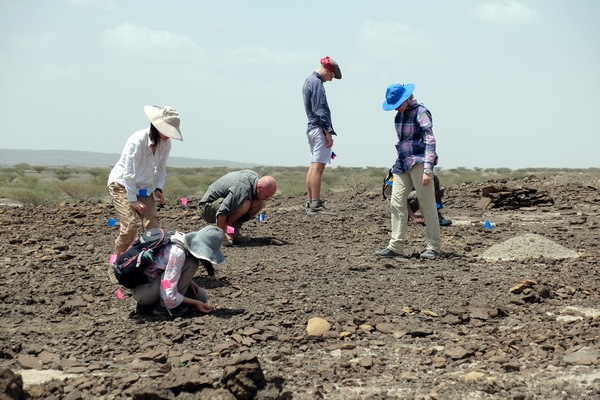 While piecing together the many fragments of hominin remains is difficult, piecing together the environmental context of a hominin site may be even more challenging. 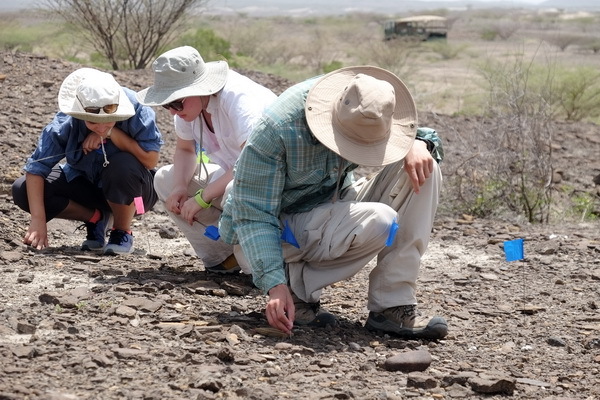 Part of this involves collecting the fossil mammals, fish and other animals that are also found at the sites. 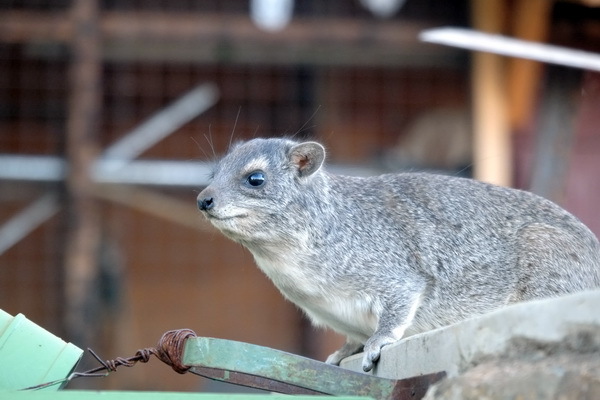 For example, fossils of small carnivores, birds and rodents serve as environmental indicators that can tell us about the habitat in which the hominin lived. 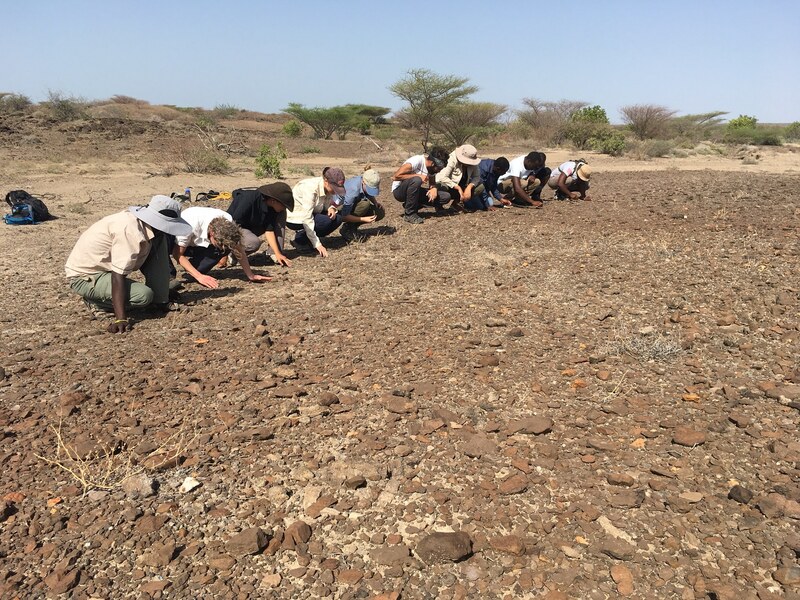 For this reason, students were tasked with an intensive hill crawl right next to the excavation site in order to map out these fossil fragments. 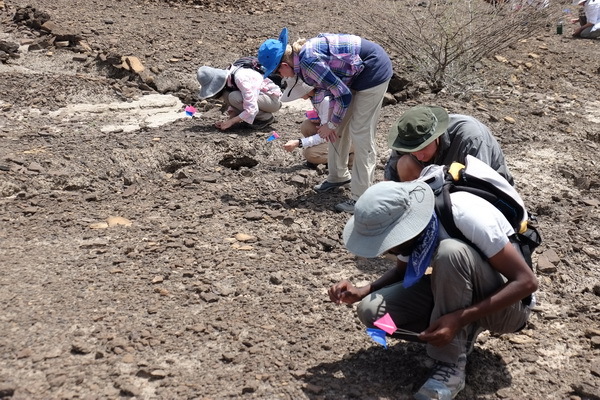 It has been only a few years since the last field survey at the hominin site, but many new fossils are already eroding out from the sediments! 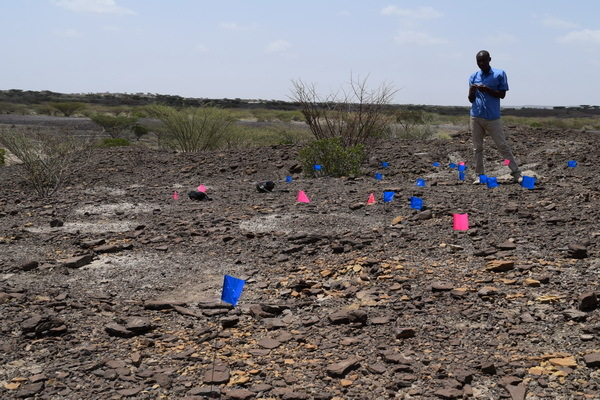 Some of the bone fragments found may even join together with the hominin fragments that were already collected! 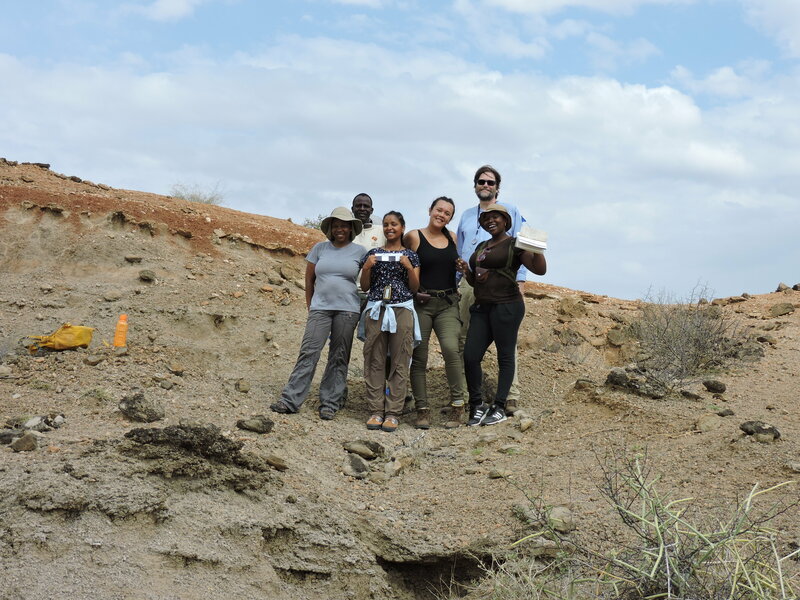 The most exciting part of the human evolution module was to see the hominin remains with our own eyes! Although no photographs was allowed in the fossil room, students were excited to see our hominin ancestors firsthand! 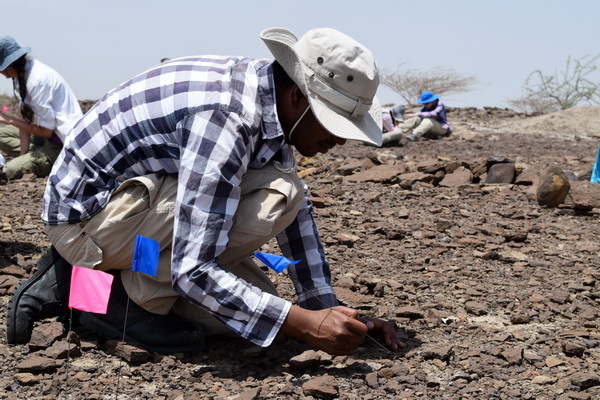 As we appreciate the precious remains, we should also take a moment to thank the fossil hunters who did the hard work finding the fossils that research relies on. 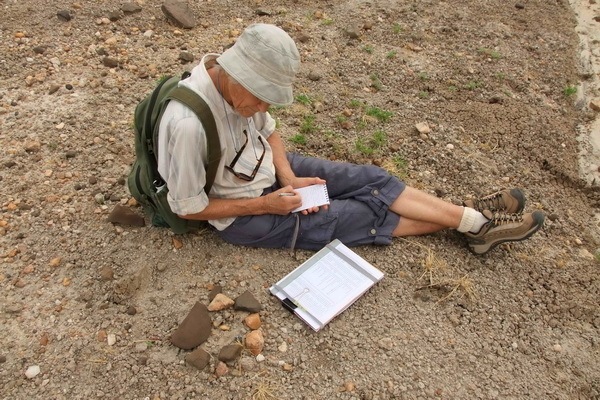 They are truly the unsung heroes in the study of human origins! 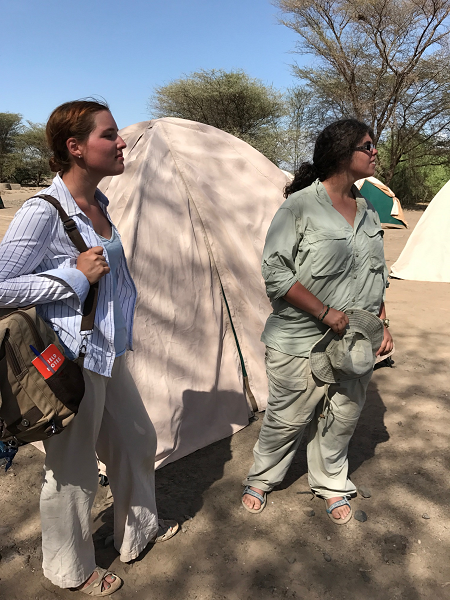 Jessica and Shelby would like to inform their friends and loved ones that they have enjoyed TBI so much they are never coming back from Kenya. All future missives must be sent by camelback. Thank you. P.S. Be thankful you can’t smell us through your computer screen.